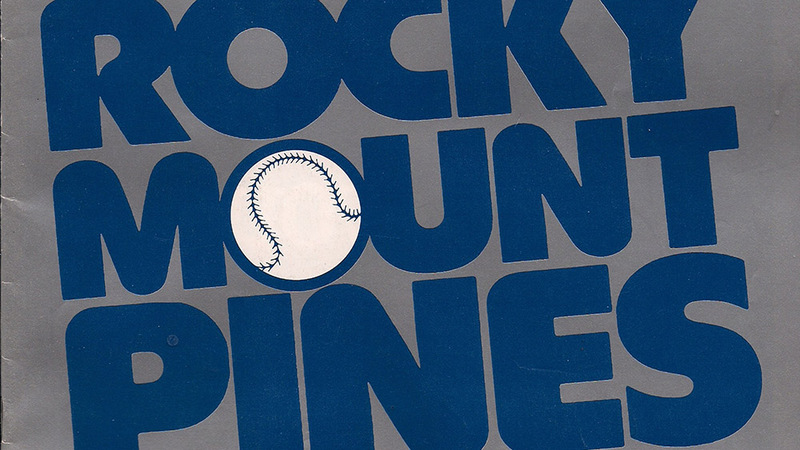 The Rocky Mount Pines had a historic one-year term as an expansion team in the Carolina League. Technically, the Pines were brought to Rocky Mount — a town with a minor league history that includes players like Bobby Thomson, Johnny Pesky, Jim Thorpe, Tony Perez and Buck Leonard — by a minor league lifer named Mal Fichman and another minor leaguer turned businessman named Lou Haneles. Haneles, who died in 2006 and was still threatening legal action against the Carolina League for the way things ended up in the early 2000s, had played in the Eastern League in the ‘30s and ‘40s, and made his relative wealth running baseball camps for kids. Fichman was to manage, and, by the end of the season, do everything else, while Haneles, the phantom owner, was to bankroll the operation, though he never did see the Pines play; he was busy with his work in Florida. The two had previously teamed up with the independent Newark Co-Pilots in the Low-A New York-Penn League, and were looking for a step up in the Carolina League. And they found it — in a disastrous way. 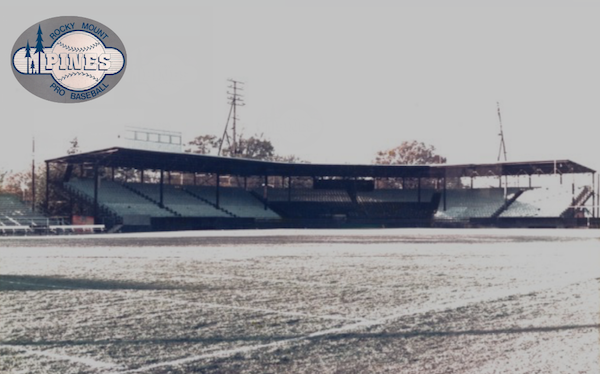 The Pines cycled through dozens of players, suffered comically low attendance, lost 18 games in a row and 36 of 38 overall, were no-hit, went bankrupt and nearly folded several times. Toward the end of the season, the Carolina League had to prop them up financially in the interest of fielding home games for other teams. Players weren’t paid. The local paper took particular delight in the team’s demise. In September of 1980, the Pines packed up and left town, leaving, according to reports, a $7,000 unpaid debt. But plenty happened between the misguided start — first chronicled by the Rocky Mount Evening Telegram in October of 1979 — and the disastrous finish a year later. This is the story, told by players, bat boys, writers and trainers, of that season. Fichman declined numerous requests to be interviewed. He was the short-tempered, umpire-heckling champion of independent league baseball, and he was just as likely to blow up at a player for missing a sign as he was to pay a player from his own pocket after a bounced check. The team had another person working in a front office role — communicating with the league offices and filling out paperwork — but she quit early on, meaning Fichman was essentially running a one-man operation for the whole season. Neil Avent, bat boy and seventh grader, now a scout for the Oakland A’s: Mal was different. Mal was old school. He was tough. He was one of those old school guys that reminded you of a Billy Martin. Real no nonsense. Tough guy. Ernie Suggs, bat boy and seventh grader, now a reporter for the Atlanta Journal-Constitution: I wouldn’t say Mal was mean, just kind of old school. He wouldn’t be a guy who’s into analytics now. Steve Swain, Pines first baseman, now a director of a scouting agency in Florida: The thing I will say is that Mal could argue with an umpire with the best of them. He was a short guy and he had the high socks, had his pants rolled up to his knees. To see him run out there and argue whether it was a play at the plate or arguing balls and strikes from the dugout, he was just a character, really feisty. A lot of fun to play for. Al Myatt, Evening Telegram sports editor, covered the Pines: Mal is a little guy, he coached third base. I think he knew baseball, but he was limited. He was prone to a blow-up. The quintessential Fichman story from that year came after a loss during a particularly bad streak late in the season, in Alexandria, Virginia. He addressed the team during a meeting at the hotel and gave the players an ultimatum: Come to the bar and drink on my tab, or be fined. Shortly after, the bar was full of Pines. Jim Gabella, Pines infielder, selected for the Carolina League All-Star Game, now a scout in Florida for the San Francisco Giants: That was the only time we were going to be able to drink some beers for free, so everybody made sure they were there. Through 31 games, they were 7-24. In May, two games later, the Pines had to wait for Rocky Mount Senior High’s team to finish its game. They started theirs against Kinston at 8:45 p.m. Some 12 innings of play later, it was 12:45 a.m. and the score was 7-7. Fichman put his foot down, and play was suspended. The headline in the next day’s paper? Mike Morgal, a pitcher, who made the Pines roster on a tryout in spring training after going undrafted out of Lamar University: A friend of mine who was on the Pines, Joe McCann, who I played college ball with for four years, played with Mal for an independent team up in the New York-Penn League. When he went down to spring training, he called me and asked what I was doing. I was just working, I wasn’t doing a whole lot. I went over to Florida to try out and made the team. We drove up to Rocky Mount right before the season started. It was awesome, because I just figured I didn’t get drafted, so I was done. Jim Gabella: I had just gotten released by the Mariners and the Alexandria team which played in the Carolina League, and I was trying to get hooked up. I was familiar with the league because I had played there the season before, but I was not familiar with Rocky Mount because they didn’t have a team. What I remember obviously that time of year it was cold as heck. The city was nice, it was a small town. The people were friendly for the most part although they didn’t like us losing all the time. Steve Swain: I bumped around a little bit. I started out in Utica, New York, then I went to Helena, Montana, Butte, the Peninsula Pilots of the Carolina League. Someone there in the Phillies organization let me know they were looking to put a team together in Rocky Mount. I tried out for them, made the team, and the rest is history. Most players who made the team in Florida road-tripped up for the start of the season. I remember I found an older couple that had a small apartment behind their house. They were kind enough to rent that to me for virtually nothing — maybe $100 a month. David Littlefield, VP of player development for the Detroit Tigers, former Pittsburgh Pirates GM, who joined the Pines midseason: It was a shoestring budget looking back. I couldn’t even remember what we were getting paid. I don’t think it was what players at that level normally got — but that’s how it worked, we had no leverage, we were just looking to get hooked up. Mike Morgal: I can remember one thing — we had a day off and I went to the beach with a couple guys and a couple girls and I got sunburnt on my back real bad. I was getting changed in the locker room and Mal just came up and slapped me on the back. He asked if that hurt. I said, ‘Nope’ even though it hurt like hell. The fun wasn’t limited to off days. David Littlefield: I don’t remember any really serious morale issues. It seems a little odd to say, and I know the team had a terrible record, but that’s my memory. Jim Gabella: I do remember there was a place called Wally’s which had penny beer night. We didn’t do much partying but that’s where we went when we did. I remember going there a couple of times. Dan Donovan — he was a catcher, he had false teeth. One night at Wally’s he went up to meet a girl and he pulled his teeth out. That didn’t go so well. Neil Avent: A lot of times the guys would go out to bars and stuff. If they had a problem, if they needed a ride, it wasn’t exactly like they could easily get a cab in Rocky Mount at one or two in the morning. We’d have phone calls, and my mom would get up and pick guys up at one or two in the morning. If that phone rang late, late at night, we knew who it was that needed a ride. My mom has since passed a few years ago but she was probably 40, 41 years old. She was fairly young. She didn’t mind getting up and doing it. That was always neat. Ernie Suggs was born in Brooklyn, New York, and loved the Yankees; he moved to Rocky Mount in 1979 as a 12-year-old. His family subscribed to the Evening Telegram, and he’d read the sports section daily before heading off to school. In one edition he stumbled upon the news that the Pines were coming to town. He also needed a summer job. Suggs showed up to a contest about 10 games into the season and saw his friend Neil Avent manning both the home and away dugouts. In the middle of the game Suggs asked Avent if he needed help, and Avent introduced him to trainer Bob Bill, who shook his hand and told him to come back the next day if he wanted a job. He came back, and joined his friend on the payroll: Two dollars a game. They both got to wear Pines jerseys, though after a while, the ironed-on “P” on Suggs’ shirt fell off. 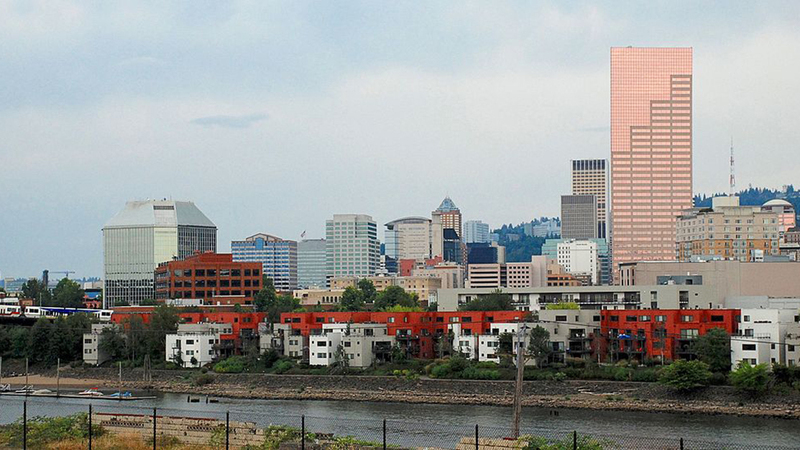 Ernie Suggs: It still ranks as one of the best summers I’ve ever had. I got to work every day in professional baseball. I learned a lot about the game. It didn’t really matter to me that we weren’t a very good team, maybe the worst professional team ever. Neil and I were pretty much a part of the team. Neil Avent: I met some people that I’m still friends with. I’m still in pro baseball, so I run across people a number of times a year that were on that club and that still are working in baseball. Even if it was just as a bat boy, fetching guys sodas between innings and getting guys hamburgers. That stuff was kind of cool. Al Myatt, who now writes for the Goldsboro News-Argus after spending time at the Raleigh News & Observer, had to be at all of the home games because he was the official scorer for the league. He would send in a report after every contest to the Carolina League offices. As the losses piled up, the interest — and the attendance — waned, and Myatt’s tone in the paper got snarkier by the day. Al Myatt: It was kind of a topic in the newsroom — how much do we actually need to cover these guys? Nobody was clamoring to read about the Rocky Mount Pines. It didn’t help that Rocky Mount Senior High, which was led by Bill Merrifield, a future Wake Forest standout whose son, Whit, is now a major leaguer, was on its way that spring to a state title. Both teams played in Municipal Stadium, a carved-out relic near downtown Rocky Mount that’s now an abandoned Legion field. The Gryphons, said Myatt, often outdrew the Pines and the joke was that the high school team could beat the professional team. Because Municipal Stadium was owned by the high school, its team took precedence in scheduling conflicts. The sometimes-testy relationship between reporter Myatt and Fichman came to a head on June 25. During a road trip, the scribe decided to throw caution to the wind and declare war on a sagging season. Fichman didn’t like Mal Function. Al Myatt: I don’t think I actually coined the phrase, but I was the first to use it in print. He didn’t like that. He came back and he had something to say about it. He didn’t belabor the point but he expressed his displeasure about it. Neil Avent: The fact that Mal means bad in Spanish, there was something there. As the first half to the season ended, the Pines had a few days off before play resumed. But the break was short for two players — Nick Baltz and Jim Gabella — who were both chosen for the mid-July Carolina League All-Star Game in Kinston. Gabella, who hit three home runs all year, came up in the bottom half of the 10th inning with a shot at ending it. Al Myatt: It was a home run to left field. I still remember it so well. I remember chuckling to myself — it was a Rocky Mount Pine that decided the Carolina League All-Star game that year. Jim Gabella: Al Gallagher was the manager and he told me the other shortstop on the roster got promoted two days before, so I played the whole game. Neil Avent: Gabby was about the lightest hitting guy we had on the team. He was the last person you would expect to do that, and he did it. That would probably be the highlight of the year. On one anonymous August day as the season was winding down, Terry Smith, a Wesleyan College professor who had a few pieces published on the history of minor league baseball in Rocky Mount, decided to attend a game. All seemed fairly normal; a losing team, empty stands. But one thing caught his eye: A well-dressed man, clearly from out of town, who was sitting behind the dugout with a notebook. Smith approached the man and asked what, with the dire situation of the Rocky Mount Pines, he was doing there. Terry Smith: We got to talking, and he was the writer who Sports Illustrated sent down to Rocky Mount. E.M. Swift, former SI writer, current WBUR contributor: I had never heard of the team before, of course. I just remember being there near the end of their season and it was pretty remote. But like a lot of people in that situation, they had funny stories to tell. Nobody had been giving them much attention regarding how poorly they played and how bad their record was. Mike Morgal: What’s the old saying? Bad publicity is better than no publicity? They took a picture of us in Larry Caprio’s Cadillac — that was pretty cool. Jim Gabella: The only time how much we were losing ever crossed my mind is when that Sports Illustrated article came out. Al Myatt: The piece was a small town Andy Griffith type thing. It was interesting, unique, really. E.M. Swift: I remember there were like five guys in a hotel room that I visited. They were sleeping on the floor. There was one instance where the owner actually threatened to not pay them one month or didn’t pay them one month and they decided to keep playing rather than go on strike because they were bottom of the barrel. That had to be a reflection of them actually wanting to go to the ballpark every day. I was sort of taken with the anecdote where they weren’t blaming each other. They were blaming the lack of depth. One unfortunate moment that wouldn’t help the Pines’ depth came when Swift was in town. Steve Swain: I had to stretch toward home plate to catch the ball on a bunt and the runner ran into my glove hand and hyperextended my left elbow. It was a rather brutal injury. I spent a year trying to rehab my left elbow. Unfortunately I couldn’t get it strong enough to play again. Ernie Suggs: That was a sad day. He was gone basically. We all kind of knew that was a last chance for him. In his story, Swift recounts more people huddled around Swain than there were fans in the stands. E.M. Swift: That was probably a slight exaggeration, but I think I counted 42 people in the stands that day. In all, 37 players logged at least a game for the Pines. All but one were at least considered professional baseball players. Bob Bill, Pines’ trainer: In fact, towards the end of the year I ended up playing because we were short on players for whatever reason. I actually — we were playing in Wilson against Salem and we were just getting smoked. I had just signed the contract to dress or play or whatever, and I had the actual baseball uniform on which I somehow still have in my possession. Mal took my roommate out of the game — Dave Thomas — he was pitching and told me to go out to left field. He said we were getting killed and this was my one chance to get in. So Bill made his professional debut, with the Baseball-Reference page to prove it. The season would officially end on August 31, with a 13-1 loss to the Durham Bulls, completing the Pines’ record at 24-114-1. Al Myatt: The team, they weren’t competitive, and it was just a shoestring operation. Everyone knew it had to end. Indeed, the ink on the paperwork was barely dry before the last game was played: at the conclusion of the competitive and financial disaster, Lou Haneles, who once told the Los Angeles Times he lost around $80,000 on the Pines, took his team — debt and all — and moved it to Hagerstown, Maryland, where the Pines became the Suns. That team stayed in the Carolina League and, in 1989, turned into the Frederick Keys, who remain in the same league; on road trips against the Carolina Mudcats, 30 minutes from Rocky Mount, the ghost of the Pines still lingers. Al Myatt: I don’t think Rocky Mount liked to be identified with a team that won — how many games was it? — 24? Rocky Mount likes winners, they don’t like losers. They just kind of faded away. There was no grand bon voyage or anything like that. The end of the season came and everybody went in their different direction and there was no more Rocky Mount Pines. Sam is a sports writer in the Raleigh-Durham area. He grew up in Somerville, Massachusetts, graduated from Emerson College in 2015, and worked for a year out of college at the Boston Globe. Also, I am pretty impressed by Sports Illustrated getting old articles like this online. They must have had to OCR them from old paper and then it’s work to clean up and format. Fun article from 1980 as well as this one.